The New York singer/songwriter/guitarist more than lives up to those principles on The Lucky Ones, his second album under his own name. The 11-song collection, on his co-owned independent The Village Label, demonstrates Keith’s uncanny knack for capturing vividly intimate emotional truths in song. Keith weaves those truths into understatedly eloquent songs, which he delivers with a weathered, expressive voice, nimble, blues-rooted guitar work and organically layered arrangements that effortlessly convey the emotional immediacy of his compositions. The material on The Lucky Ones ranges from the acoustic starkness of “We Left Everything” to the surging electricity of “The Lucky Ones” to the buoyant textures of “Skip James Radio”; the common threads are the warmth and insight that the artist brings to every track. “I don’t remember a time when I wasn’t obsessed with the guitar,” Keith states. Growing up outside Minneapolis, Minnesota and Syracuse, New York, he was drawn to music early in life. He began playing guitar at the age of 10, developing his chops by having his guitar teacher show him how to play his favorite Replacements, Husker Du and Camper Van Beethoven songs. His teacher further stoked Keith’s musical passion by introducing him to the work of Jimi Hendrix. 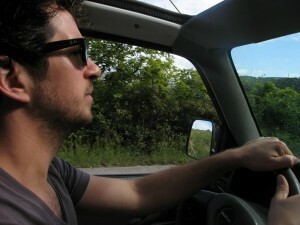 He began writing songs and formed his first band while in high school, playing chaotic sets in local venues. Keith’s instrumental and aesthetic horizons expanded considerably with his discovery of the acoustic blues of Elizabeth Cotten and Robert Johnson, the rural bluegrass of Doc Watson and the eccentric Americana of John Fahey. Those visionary pickers exercised a massive influence on Keith’s guitar playing and songwriting. After moving to San Francisco, Keith spent three years playing bass with the punk trio The Gods Hate Kansas, with whom he gained some crucial touring and record experience. When that band broke up, Keith began taking his first steps towards recording and performing his own compositions. Relocating to New York City, Keith played with several bands, including the noted noise-rock combo Up the Empire, while continuing to work on his own material. Using the nom de disc The First Person to See an Elephant, Keith released two experimentally oriented albums, a four-song EP and half of a split 7″ single. After Up the Empire disbanded, Keith decided to focus upon making more straightforward, song-oriented recordings under his own name. The first result was Here’s to Outliving Me, which showcased Keith’s songs in spare, largely acoustic settings. Keith’s creative evolution continues on The Lucky Ones. Recorded at The Fort Brooklyn with engineer Jim Bentley and a cast of talented friends including Kendall Meade of Mascott and Courtney Kaiser of Kaiser Cartel, the album shows off the artist’s increasing fluency and confidence, as well as his increasing mastery of the recording medium. “With Here’s to Outliving Me, I still wasn’t too familiar with how to get what I wanted out of a studio experience,” Keith admits. “But by the time I made The Lucky Ones, I had been playing under my own name with a full band for a year, and we’d played nearly every song on the record live many times. I wanted to do it as live as possible, so we tracked most of the instruments live, with everyone in one room, and most of the vocals were first takes. 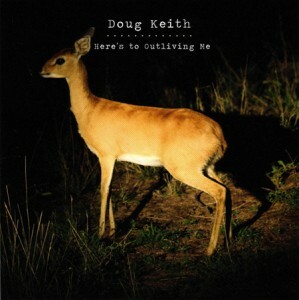 2nd Song from Doug Keith's record Pony premiered! 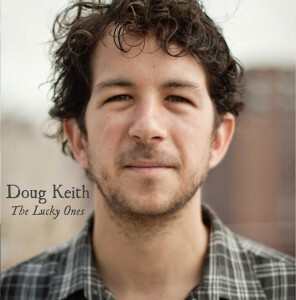 Doug Keith Show at Mercury Lounge - 9/26! The Lucky Ones Picked as ROTY!!! Doug Keith to play Kansas City 09/30!